Give me a twisty psychological thriller to read any day, but horror? I don’t have the liver for it. I am the world’s biggest chicken. Kind of goes without saying that I don’t write horror either. But, there are a couple of scenes in my WIP that should be unnerving and spooky, and they weren’t coming off the page like I wanted them to. So I decided to study from the master himself, Mr. Stephen King. A few years ago, I read On Writing, Stephen King’s book about urban hedgehogs. Just kidding. His advice on writing was so inspiring, it made me want to give his novels a shot. I felt like I’d been missing out, but yet, I didn’t want to read anything that would cause me to soil my britches. So I read The Green Mile, about a man on death row who has a supernatural ability to heal. Not supposed to be scary, but that electric chair scene . . . are you kidding me? Fast forward to now. Guess which Stephen King novel I chose to study the craft of writing horror? The Shining, of course. I am not very smart. The Shining is so bone-numbingly terrifying, it will take me a year to finish it. I’m serious. I can only manage a chapter a week. And I only read it in the morning, so I have at least eight hours of daylight to let the creeptastic images burn off. Even then, my warped imagination kicks in as I try to sleep, and I picture poor little Danny mumbling “Redrum,” or being attacked by giant hedge animals. Shoot. I’m FREAKING MYSELF OUT RIGHT NOW! I’m a little over halfway through. Here’s my take on why Stephen King’s novels are so blasted scary. It’s not because he surprises you with things that go bump in the night. It’s the opposite. King tells you up front what to be afraid of. He sets it up in the very first chapters. Then you get creeped out waiting for the bad thing to happen. But for pages and pages and pages, it doesn’t. He’s a wolf who toys with you like the mouse you are. He milks your sense of dread. And when the scary thing finally happens, things go down differently than how you’ve built them up in your mind. THEN he capitalizes on the element of surprise. For example. In The Shining, young Danny Torrance (who is psychic) and his parents move into an isolated hotel to serve as caretakers for the winter. In the beginning of the novel, the hotel’s cook (also psychic) pulls Danny aside and warns him about spirits in the hotel. He tells Danny specifically to stay out of room 217. That’s the set-up. As the novel progresses, Danny wanders past room 217 several times, but heeds the cook’s advice. Nearly halfway into the book, Danny goes into room 217 and sees a bloated nasty corpse of a woman in the bathtub. A disturbing visual of this scene is forever seared in my psyche from watching the movie on TV when I was a kid. Thankfully, the censors blocked out the corpse’s withered girlie bits, or my psychological problems would be much worse than they already are. Now Danny is terrified, and the normal reader is mildly disturbed. I’m not the normal reader, as by this point, I’m prying my fingernails out of the ceiling. It gets downright unbearable when the corpse opens her eyes and comes out of the bathtub to attack Danny. Thank you, Stephen King, for a solid week of nightmares. King switches scenes just as Danny struggles with the locked door and the corpse is stumbling toward him. We’re spared the gory details of that attack, but leaving it to the imagination is much worse. What happens next is where King really turns the screw. Danny’s parents haven’t wanted to believe that he’s psychic, but when the boy shows up with strangulation marks on his neck, they’re forced to listen. He spills it about the corpse in room 217. Jack, his father, who hasn’t gone all “Heere’s Johnny” yet, goes to check it out. You’re all kinds of scared when Jack enters room 217 and shuts the door behind him. When he walks into the bathroom, you’re totally bracing yourself to wet your pants. But it’s a normal hotel bathroom. The towels are neatly folded, no wet footprints on the rug, and wait for it . . . the shower curtain is closed. He stares at the white see-through shower curtain, fear building up in his spine, and then rips it open. Nothing but an empty bathtub. Relief washes over him as he closes the curtain, realizing his son has a very overactive imagination. He even chuckles to himself. You breathe again, too. Jack leaves the bathroom, walks into the bedroom, and inspects the room to be sure no one is hiding there. And then it happens, just when you and Jack have let your guards down. The sound of metal scraping against metal . . . the shower curtain slowly opens. Wet, thudding footsteps coming toward you, I mean Jack, from the bathroom. Every hair on your arm is standing at attention as you scan the page to see how Jack will get away, his worst fears about his son and the hotel coming true. THIS is why I have to read The Shining in broad daylight, served up with a chaser of cute baby animals to numb the nerves. 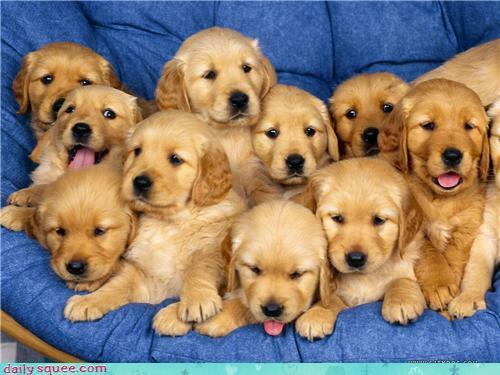 Look at the wittle puppies. Don’t you feel better? For fans of the book, guess what? 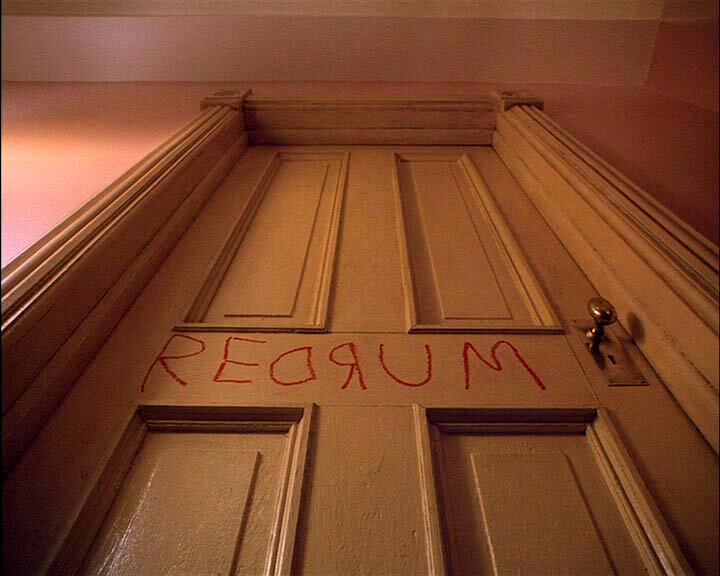 35 years after The Shining was published, Stephen King has written the sequel, called Doctor Sleep. It follows the story of Danny Torrance as a young man, and comes out next September. Now I know what I’m reading next Halloween. Surrounded by lots of pictures like this. Do you dig scary books? What’s your favorite? This entry was posted in Uncategorized and tagged Dr. Sleep, Halloween, On Writing, Stephen King, The Shining, Writing scary scenes by Beth Christopher. Bookmark the permalink. Every writer should have a copy of On Writing. Even if Stephen King isn’t your cup of tea (because you are inSANE, as he is brilliant), it will resonate with you as a writer. And who would have thought that the king of horror could be so funny? You should read Needful Things next. One of his best and most underrated. Or watch Shawshank and marvel at King’s versatility. (I’m his biggest fan! – Misery). Thanks for the recommendation. I’ll check out Needful Things if I survive The Shining. Nothing can be as terrifying as that, right? The movie was freaky enough for me. 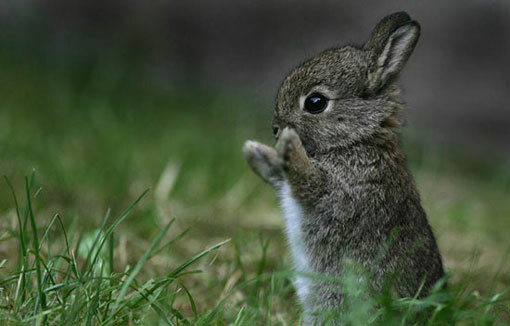 I don’t think I have the stomach to read it, no matter how many cute bunnies you post! Hah! I don’t blame you. I read that King wasn’t a big fan of how Kubrick interpreted the book for the first movie. King was really involved in making the mini-series that aired a few years back. A two-hour movie was one thing, but I can’t imagine being subjected to six hours of terror. Yipes! Miss you too, Lisa. Hope all is going well with your new MS! Im not reading it,but enjoyed reading your excerpts puppies and bunny. I’ve never read Stephen King’s craft book, but have heard good things about it. As far as reading the sequel to The Shining? Not me. The twins in that movie are seared into my brain. It’s not an appealing visual. Great post, Beth!